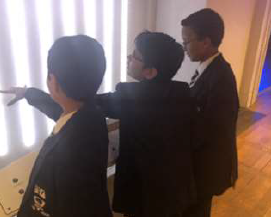 On Wednesday 13th February, a group of Year 7 students embarked on a trip to the British Science Museum in London. 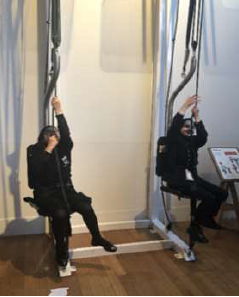 The purpose of this trip was to inspire and educate students on engineering careers available to them in the future. After lunch, we went to a workshop called WONDERLAB. This was possibly the most exciting, yet educational, experience we had from the trip! The moment I stepped into the lab, I knew this place was something else. Sounds, sights…so foreign and exciting. 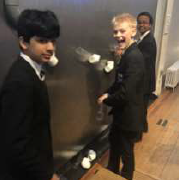 There were numerous interactive activities such as gravity run where the group had to organise tubes so that a ball could smoothly roll through them using gravity and momentum to its advantage. We then went to a show called ‘Prime Time’ where an exciting performer stood on stage explaining the secrets of prime numbers to our attentive ears and how they are used in the most secretive code encryptions. All in all, Prime Time and WONDERLAB were extremely great experiences and a great note to end the day. I now feel enlightened about how engineering has an effect on so many aspects of the world we live in and can’t wait to share it with my friends.